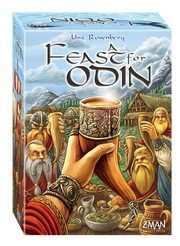 Starting out, there's A Feast for Odin, a game filled with raiding, pillaging, plunder, and raiding (vikings like raiding). 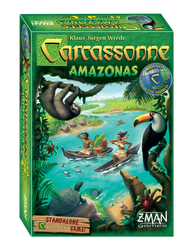 Then there's Carcassonne Amazonas, where you go exploring the famous river and the settlements that dot its shores. 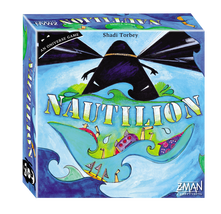 In Nautilion, you captain the submarine the Nautilion (seems a fitting name for the game then, doesn't it?) in order to defeat the approaching fleet and keep the Happy Isles... well... happy. 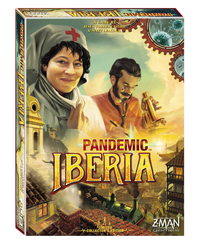 Then there's two new games in the Pandemic line: Iberia – Collectors’ Edition and Pandemic: The Cure – Experimental meds. Iberia puts you on the Iberian peninsula fighting against malaria, typhus, cholera, and yellow fever. 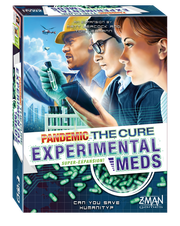 Meanwhile in Experimental Meds, the first expansion for Pandemic: The Cure, a fifth disease is ravaging the populace. But there's also new medical professionals that can swoop in and help.